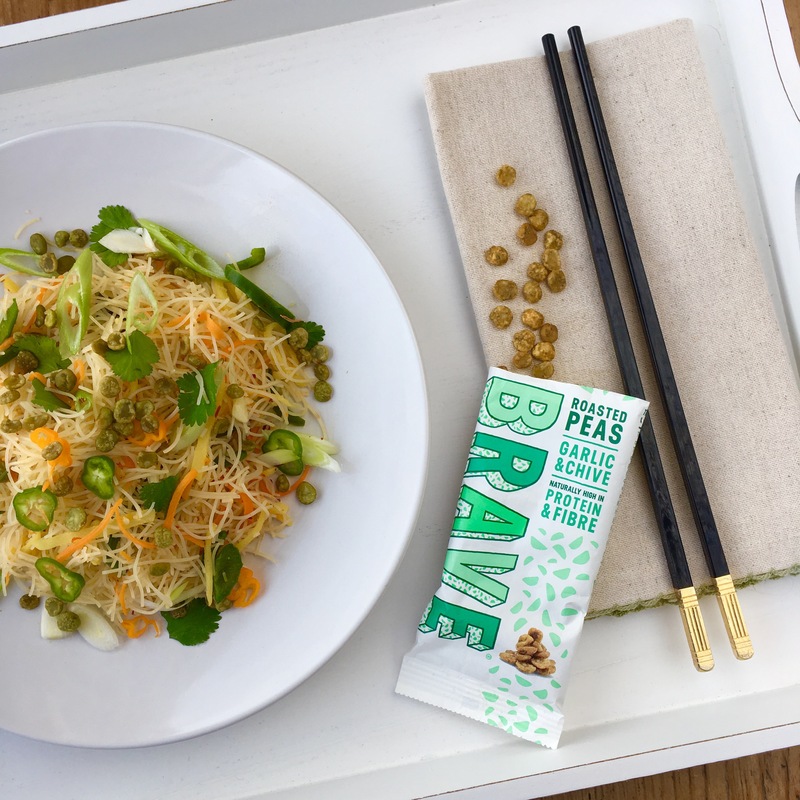 When the lovely people at Brave Foods contacted me to see if I would like to try their roasted peas, I jumped at the chance! After all they’re high in protein and fibre, made with only natural ingredients with no added sugar or other nasties and are grown locally in the East of England. All the boxes ticked for me! They were completely upfront and honest in explaining that whilst their products are naturally free from the top 14 allergens (including gluten) they are at the moment packed in facilities that may sometimes handle them. I had seen that other instagrammers with coeliac disease had been raving about these peas and so I was happy that the risk of cross contamination was low and decided to tuck right in and I’m pleased to say I was not ‘glutened’ by these at all. As my goodie box of peas contained 2 packs of each flavour I was able to try them myself and also keep a pack of each for a taste test with my friends this weekend. It’s abit of fun, we become food critics for 10 minutes, tasting and discussing each product on appearance, aroma, taste and texture and come up with a winner at the end. Appearance – We were all agreed that we loved the look of these. The packaging is simple and stylish with a different colour representing each flavour. In terms of the peas themselves the sea salt peas came out on top in terms of appearance as the simple seasoning allowed the vivid green pea to shine through. Aroma – The garlic and chive peas won this category hands down, most probably because we’re all such garlic lovers! One whiff and we were hooked! Texture – They were all on par with one another, all getting 5 out of 5 – they’re exactly what you’d expect from a roasted pea, nice and crunchy and seriously moreish! Taste – We were completely divided on this, with all 3 flavours being chosen as a personal favourite by atleast one of us! In the end the garlic and chive flavour had the majority and was crowned the overall winner. Not only are these a great snack, but they’re also perfect sprinkled over a stir fry in place of roasted peanuts or cashews. You’ll also be getting more plant based protein with these as they have more protein than cashews! Who’d have known!? So would I recommend Brave Roasted Peas? Absolutely! They are really delicious and I can see these replacing nuts and crisps in many a household. Would I buy them again? Yes indeed! Luckily for me they are stocked in a local health food store so I know I can always pick up a few packs from there, but if you’re wanting to try these yourself go to the Brave Foods Website to enquire about your local stockist or place an order and have them delivered straight to your door!